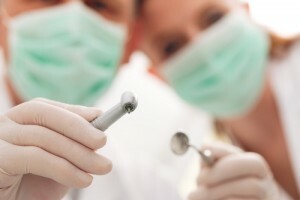 Next to local anesthetic, the drill is one of the most dreaded tools of dentistry. Today, though, dentists like Dr. Latner of Westside Dental Associates can provide important care without always relying on a needle or a drill. Using a contemporary tool like air abrasion, our Los Angeles patients can enjoy a more comfortable visit that also leaves more of their natural smile intact. Air abrasion is a drilling alternative that uses a high-powered stream of air or powder to remove small amounts of decay from back teeth. Because of this, no drilling and no needles are necessary. After Dr. Latner has used his air abrasion tool to remove decay, a white filling can easily be bonded in place. Our team at Westside Dental Associates favors white fillings for their resiliency and their appearance. With a white filling, our Los Angeles patients can enjoy results that look natural. Do you want to learn more about how air abrasion is making dental visits more comfortable for patients? Dr. Latner would be happy to answer your questions. Call Westside Dental Associates today to reserve an appointment. Our team serves patients from communities all around the Los Angeles area, including Culver City, Mar Vista, Palms, Westwood, and Brentwood. by: Les Latner at April 4, 2013 .